Immerse yourself in the story of love told through a unique experience of sight, sound and movement. 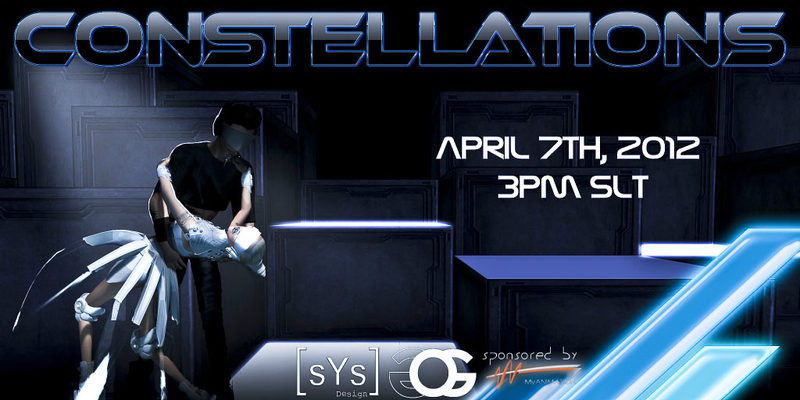 [sYs] Constellation takes the drama of fashion design to another level with this theatrical event. Join us under the celestial sphere of light and dance. This entry was posted in Fashion and tagged 3D, 3D people, Art, avatar, Blog, Blogger, Clothing, Couture, Fashion, Fashion in Pixels, fashion poses, Fashion Show, Female Clothing, female wear, Formal, formal attire, Hair, High Fashion, Jewelry, Matteo Bettencourt, meta virtual, Model, model pose, Model Poses, Modeling, Modeling pose, Modeling Poses, New, New Release, New Releases, News, OGlam, photographer, Pose, Runway, Second Life, Secondlife, SL, SL Clothing, SL Fashion, SL Style, Style, sYs, Virtual World, Vixie Rayna, Wicca Merlin, woman. Bookmark the permalink. Thanks for sharing excellent informations. Your site is so cool. I am impressed by the details that you have on this site. It reveals how nicely you perceive this subject. Bookmarked this web page, will come back for more articles. You, my friend, ROCK! I found just the info I already searched everywhere and just could not come across. What an ideal website.